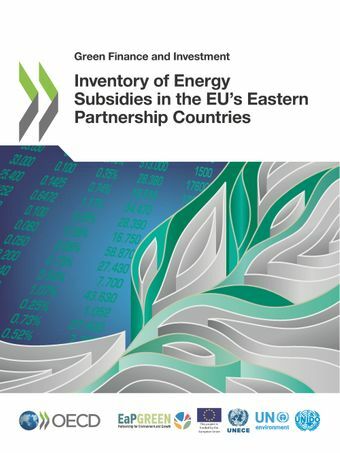 This publication aims to provide the first comprehensive and consistent record of energy subsidies in the EaP region, with a view to improving transparency and establishing a solid analytical basis that can help build the case for further reforms in these countries (this study covers Armenia, Azerbaijan Belarus, Georgia, Moldova and Ukraine). Based on OECD standard methodology, the study provides quantitative estimates of government support provided to consumers and producers of coal, oil and related petroleum products, natural gas, and electricity and heat generated on the basis of these fossil fuels. This report also briefly looks at public support allocated to energy efficiency measures and renewable energy sources in the EaP countries, and discusses the taxation and energy pricing policies that underpin the analysis of energy subsidies.This publication was prepared within the framework of the “Greening Economies in the Eastern Neighbourhood” (EaP GREEN) Project, supported by the European Union and co-ordinated with governments of the EaP countries and UN partners: UNECE, UN Environment and UNIDO.